[Blind Gossip] There are a lot of rumors that this athlete is going to be proposing to his actress girlfriend very soon! All the rumors are coming from her side. She may be in a rush to get engaged for the holidays, but he is not! It’s more complicated than people realize. First of all, they’ve been dating less than a year. He’s been around the block, so he knows not to rush things. Second, they both have large portfolios with a lot of complicated business interests, partnerships, etc. They haven’t even started talking about that. Third, he wants to live together first. [Optional] Do you think they will eventually marry? Did you see the DOZENS of stories in December that proclaimed that Alex Rodriguez was going to propose to Jennifer Lopez over the holiday? People: Could Jennifer Lopez be getting a very big (and shiny!) present from Alex Rodriguez for Christmas? According to a Lopez source, the superstar couple are looking forward to a future together with their kids and could very well get engaged over the holidays. OK Magazine: Jennifer Lopez & Alex Rodriguez’s Kids Want A Wedding For Christmas! EOnline: We hear wedding bells! The holidays are upon us, and that means there are bound to be a few celeb winter engagements! Which stars do we predict might be walking down the aisle in the new year? It’s no secret that Jennifer Lopez and Alex Rodriguez have been going strong this year, and maybe strong enough that an engagement is imminent. A source tells E! News that A-rod is prepping to ask J.Lo any day now. Ha ha ha. So bogus. We’ll give you three guesses as to the source of all of these proposal and engagement and wedding rumors. The first two guesses don’t count. Yes, it’s Jennifer Lopez and her team! Alex Rodriguez was not planning any sort of proposal to JLo, but JLo’s full-time job is to convince you that every man in the world is madly in love with her and wants to marry her, so she fed lots of stories to the media about a holiday engagement. Jennifer Lopez has already been married three times. She’s “dated” four men in the last year (see Four Men In Four Months). She’s been dating ARod less than a year. Congratulations to everyone who got this one right, starting with Sabrina325! At what point does she wake up and realize she’s been humiliating herself for a few decades with her desperation? Right? She has everything that anyone could possibly want but she’s clearly lonely and unhappy. Tristan Thompson and Khloe Kardashian of course. Khloe is on TV, but she’s not technically an “actress”. Definitely been around the block. She’s just making herself look like an * by spreading these rumors and then nothing happening. Also, I thought this relationship was a fake/business arrangement? Crazy how an attractive professionally-driven woman can be so insecure about relationships. Who is more desperate – JLo or Mariah? This screams JLo and Arod to me. 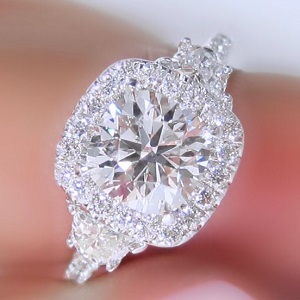 That ring is gorgeous!!!! Good pick for a pic. Jennifer Lopez she never be allowed to get married again. This will be divorce #4. She is too self centered to make any relationship last. Nope. He can get tons of girls still, so I doubt he will settle down with JLo. Plus, neither of them has a good reputation with keeping relationships/marriages going. *I guessed J Lo because the hint “been around the block” — Jenny from the block. * Girl no. Puh-lease. Another publicity stunt to generate buzz. She’s always associated with a guy as BG points out. Relax, enjoy single life for a moment… or 2. J Lo and A Rod. Clue “around the block” Jenny from the Block. No, I don’t think they’re married. The whole thing is staged. clue: “been around the block” = Jenny from the block. Jlow & Arod. Sounds like a really sad name for a personal injury law firm. J Lo and A Rod. Whyyy is this woman in a rush to get engaged once again? She’s seen it play out so many times and knows that an engagement ring isn’t a guarantee of anything. J Lo and A-Rod. What IS it with these women? Do they learn NOTHING from their mistakes? Another train wreck marriage. Good God. Can I leave two possibilities?